There is a Chinese curse that says “May you live through interesting times”. It is meant to signify that it is often better to live through more static epochs than turbulent ones. While this may be true for most there are those of us who look forward to the more turbulent times as they signify a creative bifurcation that allows for a period of hyper-experimentation where novel new forms and possibilities emerge. The conditions I which the Godds of Anarchy thrive. When I refer to anarchy I don’t mean chaos and disorder as many assume the word implies but instead a new form of order based on autonomy, liberty and mutual aid and a political discourse that is free of enforced authority and elites controlling policy decisions. The vision of a world without authority seems a very far cry to the world we are entering into. It is wise to engender the long view at this time. Even in the face of growing soft autocracy this vision of the world may be the very thing that gets us through this temporary bifurcation point and could clear the way for another world to emerge when the dust finally settles. Where we from here is that a concerted resistance movement will need at assert itself in the days ahead and it may seem as turbulent as the cultural uprisings of the 1960’s were and with greater urgency as the stakes are much higher this time around because it is global in its implications. A crucial date to pay attention to this month will be December 24th when we experience a Saturn-Uranus trine, a signature that suggest a political disturbance that is unanticipated. It will be intriguing to see if on that day there isn’t celebration over a Hamilton Electors victory in which the current administration is called into question, it will certainly cause some commotion. If we aren’t in store for that kind of surprise we still can depend on the fact that a concerted resistance is likely from the vast majority of us, in which case either outcome will come with some much needed disruption of the status quo. With that in mind onto the horoscopes! Civil liberties have been slowly chipped away for some time now in the interests of serving authority and power that has become so disconnected with the reality on the ground that governments have become deaf to the people they represent and are serving the interest of the corporate few. This erosion of our individual freedom is of deep concern to Aries, a persona with deep attachments to personal liberty and autonomy. The rise of authoritarianism emerging in western democracies of current present a necessary challenge that ignite the Aries pre-occupation with going where angels fear to tread. 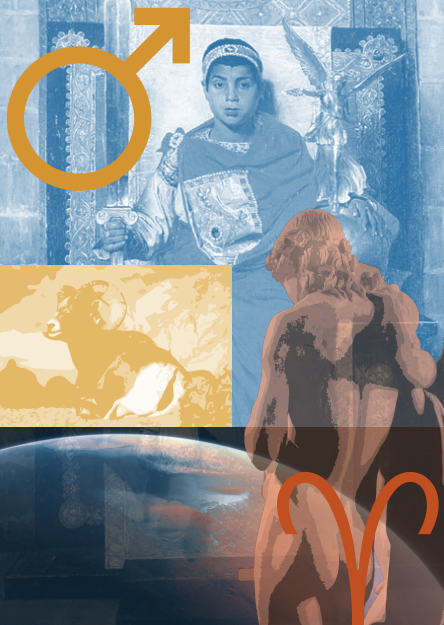 Aries viscerally understands that freedom is in peril and they must resist with all of their might to protect it and win back liberties that have been so blithely given away for dubious machinations. Risk, action, conflict, all of these bring out the inborn qualities of initiation, boldness, and courage that are heir to Aries. These are the times when Aries shines as they thrive in situations where they take massive risks even if they are risk averse. Aries is the one in the streets marching in outrage “Dump Trump” and “not my president”. They were at the frontlines in 1999 in Seattle during the WTO protests and camping out in 2011 in Zucotti Park during the Occupy Wall Street actions. Aries, December will be all about forging connections with like minded others even if they aren’t joining you at the Police barricades. Be mindful too that the risks you are taking are strategic. Aries is the original God of Anarchy along with their Aquarius sisters, who are dreaming and scheming that another world is possible. Neoliberalism (market fundamentalism) is dying, going forward it will mostly be a discredited revolution. The downside is that it has left a vacuum has been filled by jingoistic tendencies of xenophobia, ethnocentrism, nationalism, white supremacy, bigotry, racism, crypto-fascism, and misogyny. Part of the problem has been a trend in ideology that neoliberalism has spawned which has created insularity among western elites, a complete disconnect between decision makers and the lives of those on the ground effected by those decisions. It is highly likely that this trend will actually intensify under a soft authoritarianism which we are currently facing, similar to Russia, Singapore, and the Arab countries. It will require a quality that Taurus has in spades resilience. 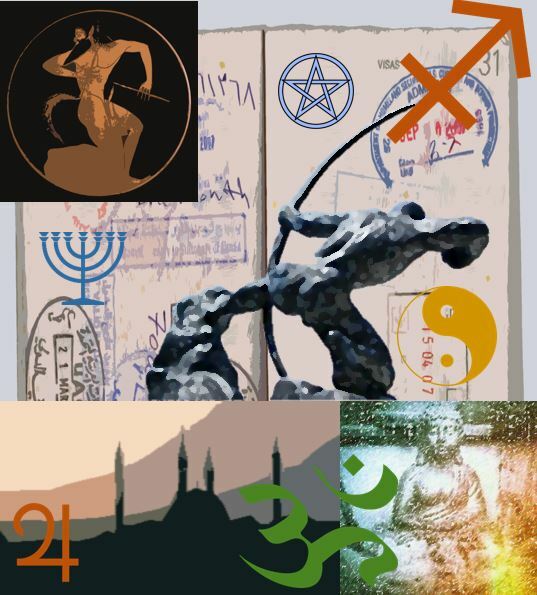 Taurus is already planning for a spate of years in which any progressive agenda items are likely to be utterly ignored and there could be retroactive movement backwards in terms of social evolution. Taurus realizes that we are entering a pause period in which a micro-Dark Ages is emerging and that we are all going to need to brace ourselves and be resilient. It will mean a need to expand beyond our self-imposed insularity, if we thought what has been wrought under neoliberalism has been bad we are about to see something so much worse, and it will require us to fight on many fronts and to shore up the existing institutions that protect our fragile freedoms. In a word our political infrastructure will need to become more resilient, Taurus and the energy it represents will play a vital role in the creation of new social infrastructures that can comprehensively resist autocracy. I liken Taurus to the character Lyra Belacqua in Phillip Pullmans ‘His Dark Materials’ trilogy. Lyra was able to use her independent spirit, her exemplary intelligence and her ability for creative deceptions to save the lives of others and her own against great oppressions and ones that seemingly had a friendly face such as Marisa Coulter, a seemingly sophisticated woman who turns out to be cold, calculating, ruthless and power hungry all qualities she uses to empower an authoritarian structure (The Church). Lyra is capable of seeing through these manipulations and using her talents and a suite of mysterious technologies to liberate the missing children which are the crux of many of the novels. 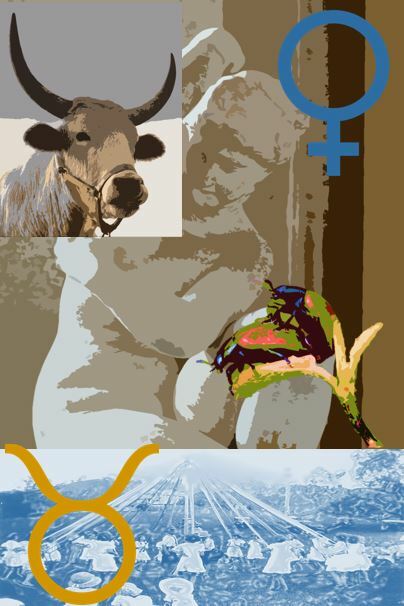 Demonstrating great resourcefulness, fierce determination and resilience in the face of extreme aggressions, it is exactly these iconic qualities that the world needs from Taurus at the moment. 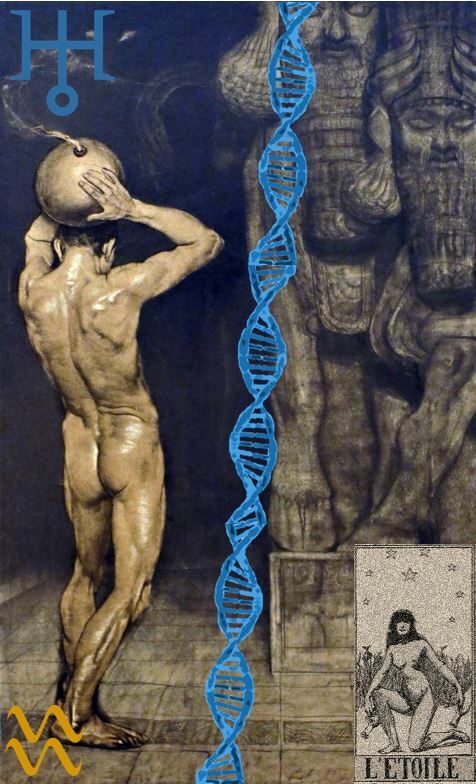 Gemini makes connections it is their super-power, currently they are beginning to see a vital connection the collusion of media in an economic arrangement with corporate bodies to obfuscate reality by confusing issues with disinformation. It seems that neoliberalism has made western institutions so insular that the establishment has failed to ask very vital questions that are of impact to the long-term sustainability of civilization itself. Brexit, Trumpism, & the Front de Nationale’ are all indications that western institutions have become too insular that they are failing to acknowledge the conditions on the ground. These movements are considerably wrong answers to legitimate questions that elites have failed to address. More so it has influenced the public as well who now are capable of curating their own newsfeeds to such an extent that it creates an echo-chamber where a differing opinion is never entertained, which creates a wholly inaccurate picture of reality. It begs the question of can we continue to support a media structure that commits itself to “balanced reporting” when it is dealing in false equivalencies, parroting ideas that are factually wrong and fly in the face of reality. Further can we continue to support said media when it consistently hires graduates of top tier universities, the denizens of which are completely oblivious of the rank and file, if not seeing them with utter derision and scorn? Gemini is obsessing over the way in which information is delivered and specifically the ways I which it is manipulated to serve hegemonic power. The medium is the message to borrow a phrase from Marshal McLuhan. In this case it our social media feeds that give us the unlimited capacity to curate our news feeds allowing no opposing viewpoint and giving a slanted view of reality. Gemini is taking to task the capacity for self delusion and also calling out the inevitable media distancing and silencing that will become more apparent under the current administration. If there ever was a more Geminian cause it is freedom of the press. Capitalism has commodified mutual aid and Patriarchy defines it as weakness, both are disingenuous. Nurturance is essential to the continuance of life, and creates the conditions for habitability. Turning it into a private good has confined it to a segregated function instead of our MO. Politics is currently forcing our hand into a perpetual resistance creating the impetus for tenderness and skillful attention. There is an emerging need for those fighting the good fight to feel enfolded, nourished and supported in these times when authority will be busily chipping away at any sense of decency. The guiding principle will be the words of Comrade Will on the Black Orchid Collective website ‘we will need to be careful with one another so we can be dangerous together’. Generally this is not a concept that Cancer necessarily ascribes to but in those more charged times that edifice is crumbling and being replaced by an instinct to care, a default setting for Cancer. There is a concerted need to properly marshal your reserves and give your compassion and empathy out in doses that don’t deplete you, it is a question of acknowledging limits. Mutual Aid does not have to be a scarce resource in our culture it can become the basis for a new one emerging. This post was entirely inspired by Corina Dross, check her out here. The backsliding towards authoritarianism we are witnessing in the wake of the first death knell of neoliberalism and the elites that fostered it has provided the impetus for a responsive movement of resistance. We are effectively living in a time when the propaganda from the UK during World War II applies ‘freedom is in peril, defend it with all of your might’. Demagoguery is running rampant with so called leaders using it to stoke the baser instincts that set the ground for atrocity. In light of this the only valid response to the creeping stench of authoritarianism that is insinuating itself in free societies is a concerted and outraged resistance to ensure that cherished institutions are protected and to also clear the way for an emergent society representing a perpetual revolution. Leo you are being reminded that you were once the province of Kings, Queens and Princes and other autocratic rulers. Leo holds the keys to transformation of these unbalanced power relationships, holding the long karma of this you are tasked with turning it around. Further as one of the more fiercely creative and dramatic signs we need your creativity to shine a magnetic light into the dark times we are entering into. Agitprop is an artistic resistance movement that sought to use politics as a subject, it took the proclamations of authority and turned them on their heads in the project of changing minds. We are entering into a fertile time for such arts to make a revival Even in the darkest hours there can still be singing, and you are a mirror of all the world’s unanswered questions which is the crux of your art. The world needs your expression, and through your art you transform the dead hand of authority into the song of freedom. The rank and file throughout the western world is rapidly changing it is driven by three trends immigration, the demographic transition and the collapse of white majorities. Naturally of course a significant chunk of the privileged, read the elites are freaked out by these prospects and as such are reacting by empowering nationalistic demagogues to try to turn the inevitable tide. The U.S by 2042 will be 63% POC and California currently already is; this same trend is emerging in Canada as well with three of its major cities Toronto, Vancouver, and Montreal already being predominately POC. 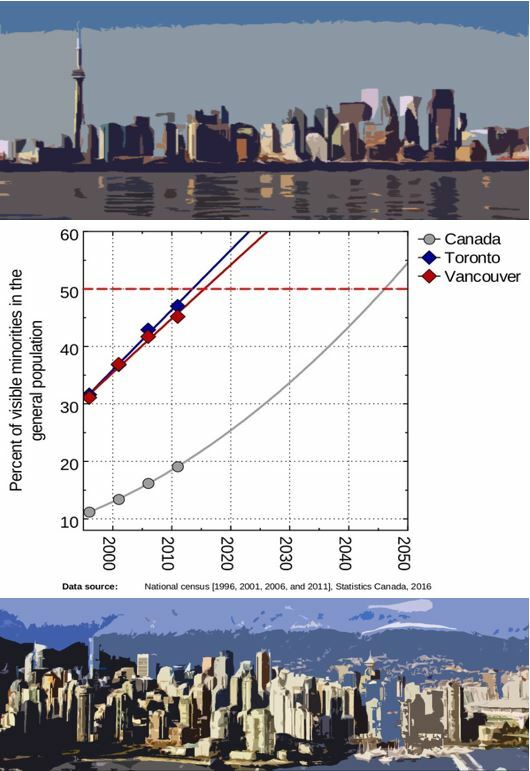 Edmonton and Calgary are slated to be so in the next decade, with the rest of the country following suit in 2045. It can easily be argued that this election represented a kind of “whitelash” a reactionary response to the impending collapse of white privilege. What is great about reality is that you may not believe in it but reality doesn’t care, an inability to deal with it gives you a new negotiating partner called consequence and you don’t even have to be in the room. It is much the same when we consider climate change, you can be skeptical all you want but at the end of the day it is still chemistry, physics and biology which is Nature’s operating system and if you disturb the carefully calibrated equilibrium between them you will still get a phase state change that will bite back, their laws are immutable. Virgo, you are the communicator of these insights, a kind of beacon that speak facts louder than the fossil fuel spin doctors can disseminate their kind of contrarian and utterly dissociated solipsistic logic. 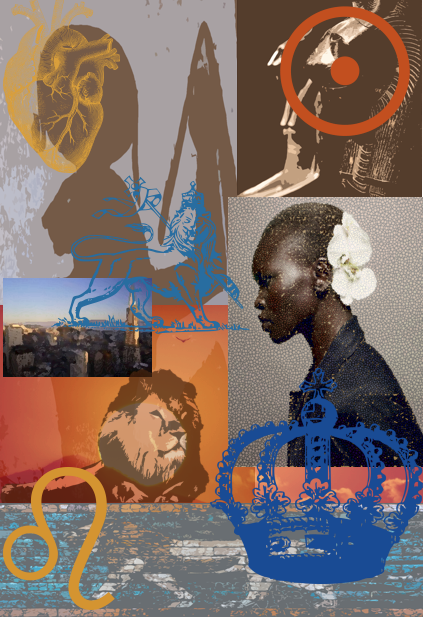 Virgo has embraced the mutability of a world in the throes of rapid change one in which the face of the people is becoming a many hued rainbow, humanity is becoming increasingly urban, inequality is the only economic issue that matters and there are ecological realities that cannot be avoided. 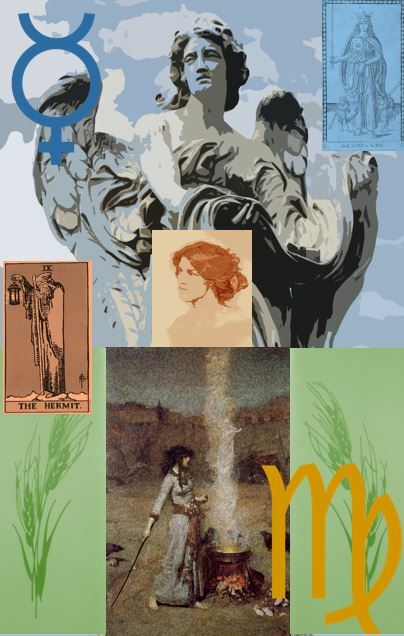 Virgo has realized that governments are not going to do anything about these issues and so it will require a more anarchistic and decentralized approach focused on the local bio-region (remember Virgo is symbolic of the operating system of Nature hirself). In a word the virgins have the insight on reality on the ground and are demanding that we all pay attention. No longer can we entertain the idea of an urban-rural split where we are blind to the decimation and hollowing out of the hinterlands that market fundamentalism has wrought, lest we city dwellers forget where our food comes from. Equally so on the other side of the spectrum, much of what are called the flyover states have failed to understand the complexities of our intertwined 21st century reality, we are more connected, diverse, and in need of education than ever before .The world is rapidly changing and gone are the days where a grade school education will provide brighter prospects. Virgo is standing at the nexus between these conflicting realities and is tasked with finding a soluble system that will bring the world back to dynamic equilibrium. There is no social justice without economic justice and this is a precept that western democracies have not tackled well in the last half century. A deliberate policy pathway crafted by the likes of Friederich van Hayek, Alexander Rustow and Milton Freedman has been pursued wit the attendant consequence that inequality has been exacerbated and the U.S. is approaching the same level of inequality that we find in Mexico or Hong Kong, and yet our neighbors to the North enjoy one that is many volumes lower. The question in particular that has not been grasped is Inequality: the benefits of global trade have largely been siphoned to the financial elites and those at the top of the economic strata. Is it equitable or sustainable that the benefits of these trade regimes be concentrated into the hands of the few or can the gains of open borders and trade be more distributed and equal? It is a question we must grapple with over the next four years through 2020 for multiple reasons. Inequality drives consumption which has a direct impact on climate change a phenomenon that will have many implications for justice and human rights. It also drives much of the civil unrest that we are seeing throughout the world and allowing it to get any worse will mean movements that will dwarf the scope of Occupy Wall Street. It is also a prerequisite for justice in general. 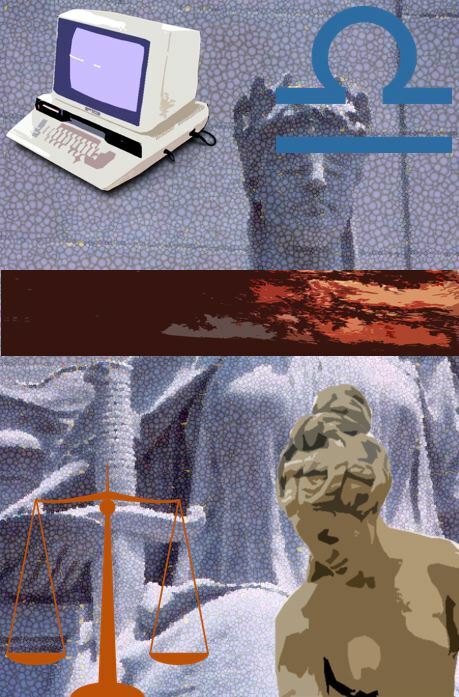 Libra is the symbol of justice of the balancing of an equation, the calibration towards homeostasis that is a feature of all complex systems and the basis of physical systems in its law of the conservation of matter and energy. Justice is also a topic that is threaded throughout the entire world at the moment. Whether we are discussing the sovereignty of the water protectors at Standing Rock, the hollowing out of the rustbelt, the skyrocketing costs of cities, or the public health epidemics plaguing the hinterlands tied to low wage work, these are no longer matters of economic externality they are central issues of justice. To this effect Libra is acting in the world for the purpose of justice, and raising the awareness of this as central to that project what’s more they are honing an awareness of these trends in their own lives this outrage hopefully gives them days of war and nights of love. Globalization has undoubtedly lifted many out of poverty that said a free market ideology that has taken over world planning institutions such as the WTO and the IMF has created programs of austerity and misery that have driven many from their homes in foreign countries spurring a migration movement. Crises created by corporate owned governments have spawned civil wars which have destroyed nations and caused forced regime changes and of course new political expreiments as the Rojava Canton has laid bare. These are all question of collective power and they will take an international importance as we see movements attempting to concentrate power spill outside of national borders, which brings up salient questions to the current human project of planetization. A vital question that western institutions have failed to grapple with is, Globalization: who has been left out? Are there ways we can distribute the benefits and ease the transition. There is a vast difference between globalization a coporate led process with soft authoritarian undertones and globalism which is the decentralized planetization of the human species. Where one uses lopsided power to homogenize the world into uniformity and always benefitting financial elites, the other works to decentralize authority and maximize diversity spreading the benefits of innovation to a human commons. 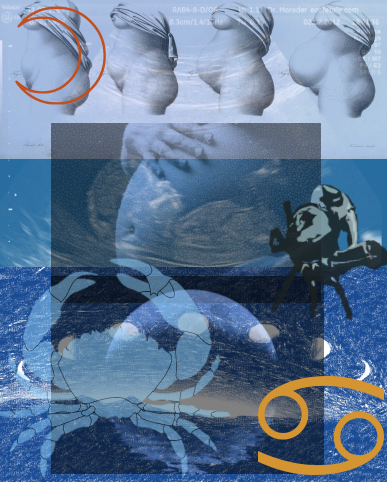 It is the Katter that Scorpio is seeking to create and it requires a deep penetration into the annals of collective power. Scorpio is not afraid to look the heart of darkness in the eye and stare into its soul, and given the dark times we are coming to see this is a needed capacity. The ability to blow the lid on illegitimate power and expose corruption is a necessary trait given that many will try to pull the wool over the public’s eyes and continue to funnel the benefits of globalization to the hands of the wealthy few. Scorpio can trace the lines of power that led fair trade to become free trade. Exposing corruption is a pastime of the scorpion, largely because they love rifling through the detritus to find the motherlode. -Christopher Scott Thompson, A City where Gods can Live. It is easy to dwell on the apocalyptic propensities that modern electoral politics engenders with the likes of Brexit, the Front de Nationale’, the election of Donald Trump and the continuing deterioration in Syria. There is however a bright spot to be had that even in the heart of societal collapse a form of organizing society can emerge that is the seizing of a grand opportunity when central authority fails. For this example we look to Syria and the Rojava Canton. Right at the outset, it rejects the idea of ethnic nationalism or separatism and proclaims that the revolutionary society will be based on “equality and environmental sustainability” with no interference from religious authorities in secular affairs. This is exactly what progressive movements in the U.S. need right now and it is a likely model for the more feminine future in store for the U.S. after the passing of authoritarian government. It’s likely a model of what U.S. society could eventually evolve to long after white supremacy has passed, our love affair with neoliberalism has been relegated the way of the dinosaur, the closing of the petroleum aeon and the end of hyper-capitalism. It is what our society may yet be as we move into a post-scarcity era and dismantle the monetary and the attendant class system. This also represents a political framework for transitioning to an eventual stateless society. It also represents a significant deconstruction of Patriarchy and gender apartheid an issue Ophiuchus is deeply invested in. Do you grok this? Ophiuchus is leading the way towards a new society through the destruction of systems of oppression along socially constructed lines. Rojava is your inspiration to continue the good fight and pushback against the attempts to repeal the hard won rights and freedoms we have gained and are now under threat for those of us who are women or LGBTQ individuals. We must continue the work of liberation and be inspired by the strange light of the future. Immigration has been an unparalleled success for the vast majority, that said for the small minority which have empowered a Trump presidency and a Brexit form the EU, those of which who see wrenching pressures on their wages, do we decide to help them, or are they crushed under the wheels of so called “Progress”? A question that becomes more salient in a landscape of anti-immigration sentiment and the cold refusal of assisting refugees created by the violation of extra-national sovereignty. It is immigration that has made the U.S. as dynamic as it is and is the founding principle defining our nations character. Now we enter a time when this is in reverse and a demagogue has declared a Muslim Registry in the false flag effort of weeding out terrorism (a phenomenon caused by constant intrusion in foreign affairs where western governments have sought to enforce their hegemony creating the extremism in the first place). Sagittarius concerns itself with foreign cultures and foreign affairs and is at heart an internationalist seeking a more unified world. This issue is very personal for them. Sagittarius chafes violently against a wave of protectionism sweeping over the western world currently, and it will become the focus of much activism for the archers in the coming lunations. Specifically they may find that they are violently opposing the xenophobic sentiment enveloping social discourses, and reminding us all of our obligations to one another and to the defense of human rights in a time when they are under siege. One crucial question our liberal democracies have failed to address is have we actually achieved democracy or does the Central Bank, the IMF, the WTO, and the financial elites decide? It is tempting to say the world has changed politically although this is not entirely true as the framework of hegemony, oppression, and control emerged long ago first with colonialism and more contemporarily with neoliberalism. established with Reaganomics in the 1980s the elites in wealthy nations have overextended their influence, extracting all the benefits for themselves and silencing dissent and have transferred the “externalities” to the majority. It is this political set-up that has given rise to the likes of Trump, Le Pen in France, Nigel Farage in the UK and other such demagogues who cynically appeal to the worst instincts in people to their own benefit. They have exploited a willingness to engage division and xenophobia. The most tragic part of it all is that the leaders of these regressive movements have failed to recognize that they are the very embodiment of the elites they seemingly despise and that most of their policy suggestions will do more to entrench this elitism at the expense of those who empowered them. Perhaps this Capricorn is exactly the point as your memory is long as you have a natural understanding of the long cycles of time and long-term vision that goes centuries into the future. It is a quality that needs to be cultivated especially as we craft strategies to navigate the difficult years ahead. 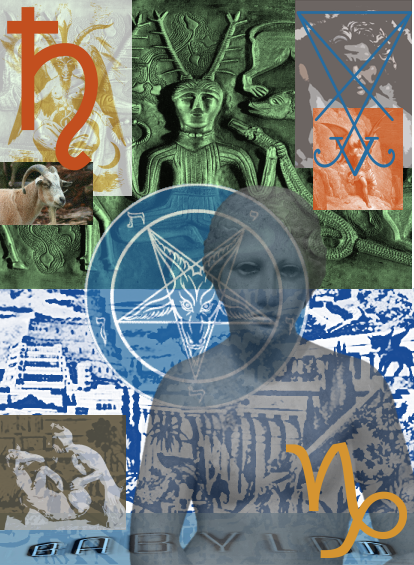 Capricorn energies are correlated to the construction of institutions and also elites and as such there is a deep need to transform these associations and perhaps no other is more qualified to re-craft the image into one that is thoroughly resistant to authority and elitism. The current political discourse has a pernicious capacity for legitimizing views which are either regressive or deeply threatening to a free society. Exhibit A how the media has spun white supremacy into the ironic catch phrase “alt-right” a disingenuous title if there ever was one a kind of double speak that attempts to soften crypto-fascism. Not to mention the almost hysterical coverage of climate change deniers that muddies the waters and creates false equivalency when the scientific consensus is precise and clear that humans are driving climate change. We have witnessed a cynical power grab by nationalists and authoritarians to further constrain already tenuous freedoms that were curtailed under the disaster capital arm of neoliberal philosophy. In a word we have seen the worst that liberal democracies can foment in the form of rude awakenings, where do we go from here? Aquarius’ strategy: They go low? Aquarius goes left, or rebels, or is contrary or goes revolutionary! Specifically there is an invocation of the Gods of anarchy (not chaos but order based on mutual aid and autonomy) Aquarius invokes the long dead spirit of all the past revolutionaries who fell fighting for liberation and freedom. 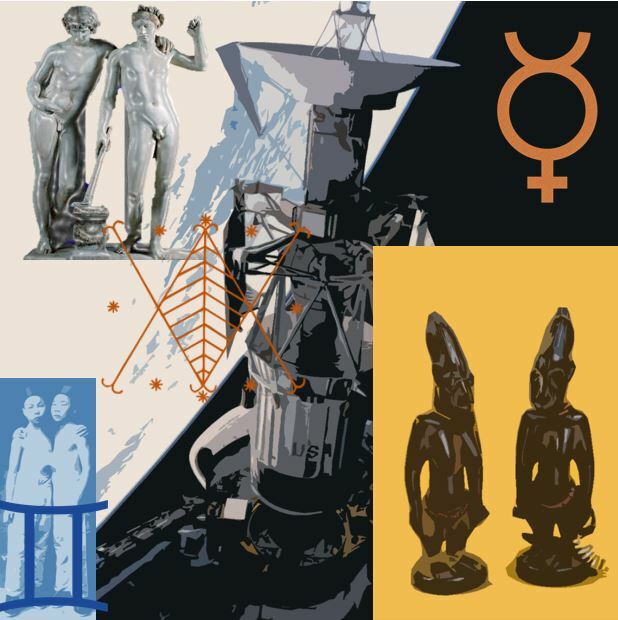 Aquarius already has a precedent with its ruling planet being Uranus, better named Prometheus the Awakener, an energy that empowers the revolutionary tendencies latent in the Aquarian imagination. 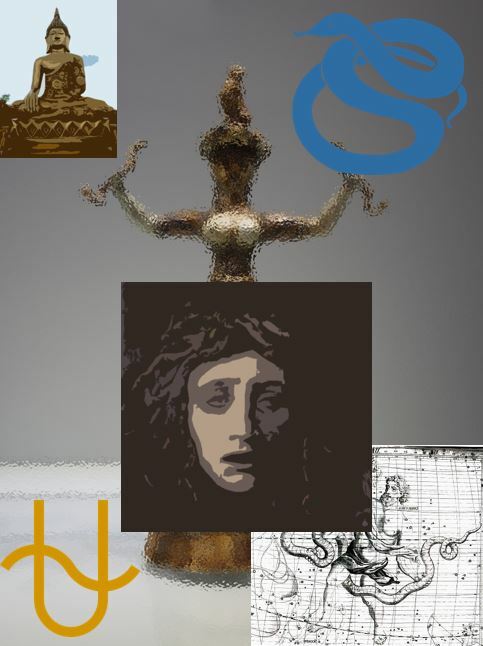 What’s more is Aquarius recognizes that they standing at the precipice of a unique historical praxis, the one in which the edges of hegemony and empire are fraying. New political forms are yet waiting to be born, as we progress into the Aquarian age new technologies and crises will emerge that will require novel approaches and new political arrangements. 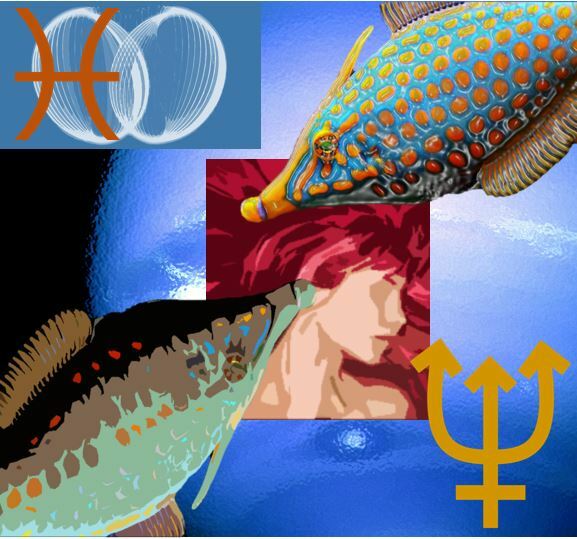 Aquarius is the most well placed to do this as they can with precision imagine new realities that the majority can only see darkly, and further Aquarius lives hemispherically, spending equal time in the present and future. A disingenuous strain of anti-intellectualism was recently explicated by Scottie Nell Hughes of Tea Party News Network when she proclaimed that “facts are facts-and they’re not really facts”. It is a sophisticated method for distorting reality something that the Trump administration has pegged itself on. An equally insidious trend that has emerged is big media stating that there is a need for reconciliation and for the “peaceful” transition of power as a cornerstone of American democracy, acting as though this is a typical election it is anything but typical, as it is legitimizing crypto-fascism, if anything it calls for a concerted resistance not a bland acceptance. Another saccharin sentiment has emerged among the left with talk of having empathy for Trump supporters, summarily misplaced in identifying with the entire white working class (newsflash the exit polls showed that wealthy white people elected Trump not the working class, unsurprising given that he represents the entrenchment of their dynastic ambitions).There is a concept that we can love the darker instincts right out of them. It’s a false flag and don’t fall for it Pisces. Compassion and empathy are elegantly simple for you they radiate from your pores. That said, as an already impressionable mind there is a wise caution to exercise in these times of misinformation and the willful distortion of reality. Compassion has its uses especially if it reflects the adage think globally, act locally, in a word spreading them to your native social networks, that complex tangle of friends, lovers, blood ties and the impersonal matrix of the geo-sector called home. Corina Dross a fellow astrologer sums it up best by saying “Compassion can guide action, holding people accountable without denying their humanity, forgiving without permitting future harm”. This is will be my last big post of the year as next year the blog will be streamlined and the writing more concise and crisp, not to mention that posts will be more frequent and broken up That’s our curtain call space cadets! I will see you all next solar transit, Happy Holidays and Happy New Year!!! Thompson, C.S. 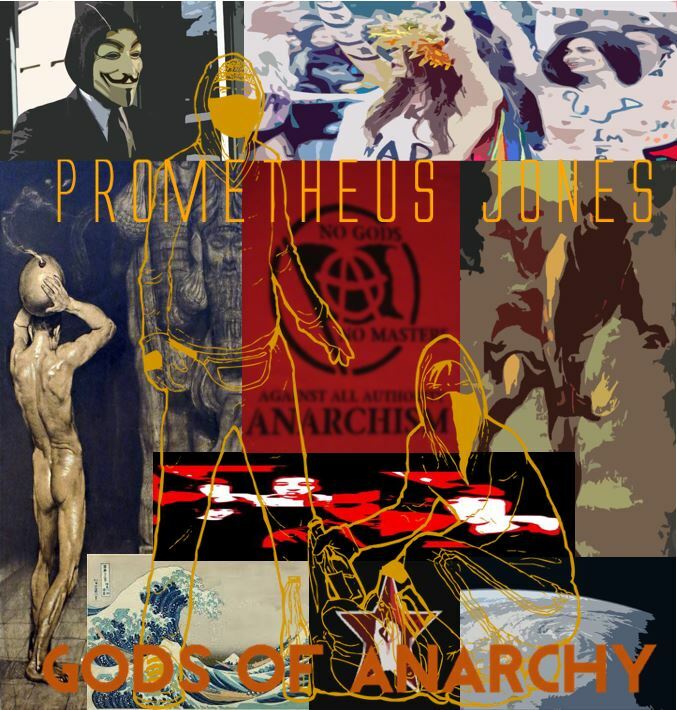 (2016) Pagan Anarchism, Seattle Washington, Gods and Radicals publishing. Greetings! Quite helpful guidance on this article!